There are many good reasons to render to a new window rather than to a file. (Choose this option on the General Tab.) One of them is that you can change Progressive Render and Tone Mapping settings on the fly without stopping the render. So, if you see that you are still getting a lot of noise, change the quality or length of time on the Progressive Render tab. 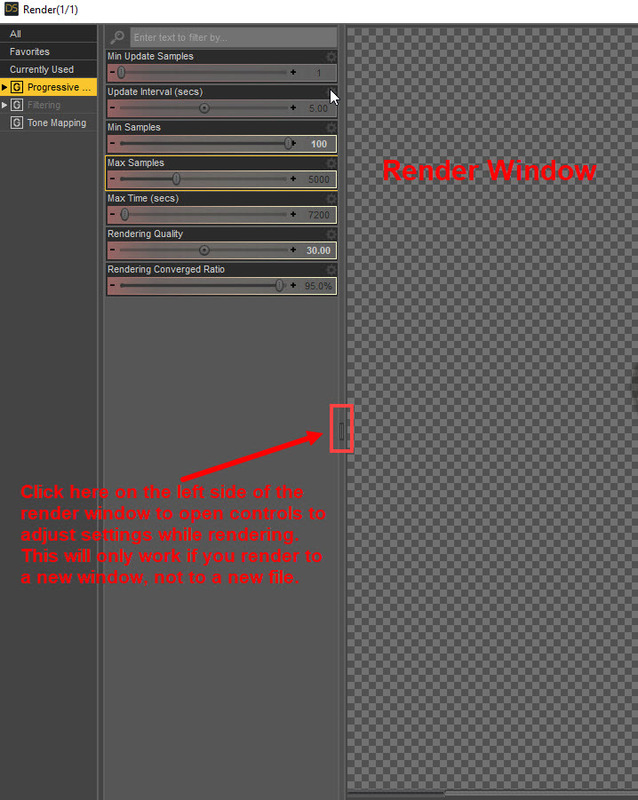 To do this, click on a very faint and small rectangle in the middle-left side of the render window frame. This will open the settings. See the image.